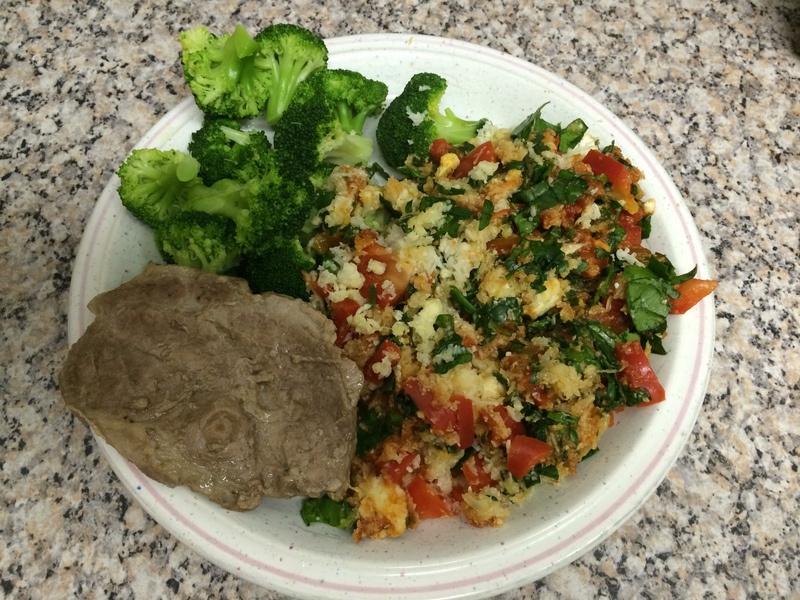 With this post 7 of my little series I reached ‘the end’ (Previous posts in this new series can be found here post #1, post #2, post #3, post #4, post #5, post #6) But I will probably do one or two days more, since the previous two days wasn’t that low carb. It sounds a bit as if I will stop on low carb but that’s not the case. I have been on low carb for a long time and I see the results and surely I will continue. I will also continue with low carb posts from time to time, but let’s get to today first. So this was my day 7 in my little series; Sunday the 14th of December 2014. 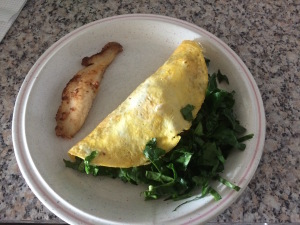 Just two eggs today, with spinach, cheese and some fish (Pangasius). Inside the omelet I had more fish but it was a bit dry so not the biggest success. For lunch I just had 200 grams salmon. Not more, not less. The salmon had just about 2 grams of carb and 370 calories. That must count as low carb :-) Just for the record, I love salmon, so I really enjoyed it. No beer, no pizza today. Just 404 calories in this meal. Piece of meat with broccoli, cauliflower-rice, spinach, sweet pepper and to avoid it been too dry, some sauce (pre-made). Could have used a glass of red-wine but had to settle with some water. Was about to finish this post when I realised that I’m still a bit hungry and have 688 calories left today and only had 49 grams of carb. So today ended with 200 grams of cottage cheese. Today is very different from yesterday, got 512 remaining calories. Ended up with a total of 1395, so a good day :-) I’m BACK.